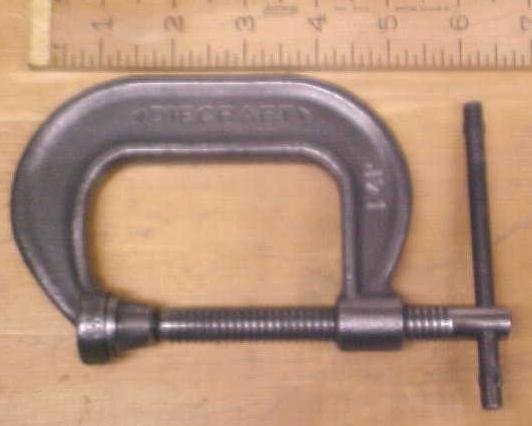 This is a very nice, clean, heavy duty 2" capacity antique C-Clamp, marked "DIECRAFT NO. 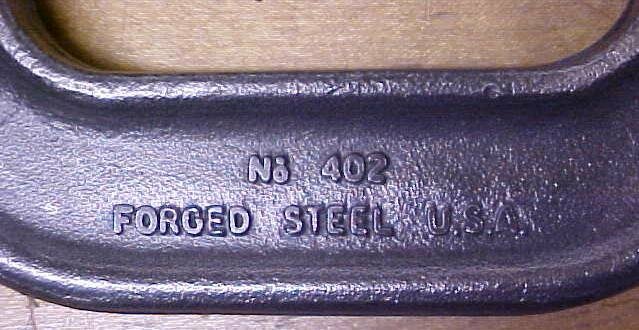 402 FORGED STEEL U.S.A.". As you can see in the pictures the clamp is in very good shape, no rust, or pitting, very clean, not bent up, good swivel pad at the end of the screw, good pad alignment, works fine. 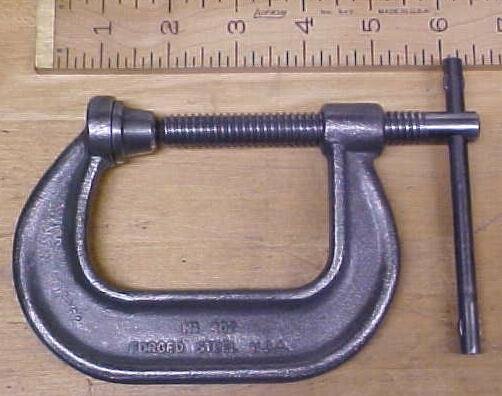 This clamp weighs 1.2 pounds, and has an 5.35" long frame and the thickness at the clamp pad is .8" diameter, and the threaded screw is 1/2" diameter. It has about 2.3" reach/clearance, measure from the center of the screw to the edge of the frame. A very well made 2" capacity c-clamp! A very hard to find small size! 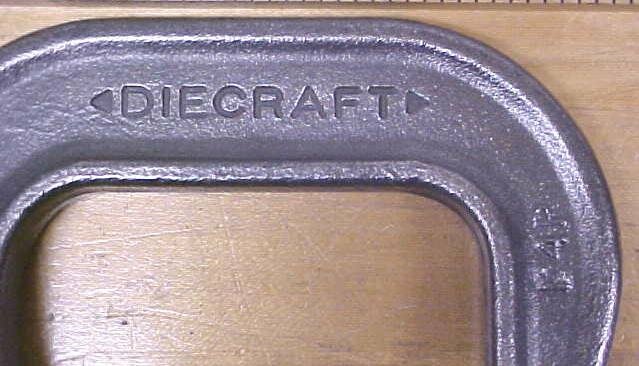 Items Similar To "Diecraft C-Clamp No. 402 Antique 2 inch Heavy Duty"